From October 27 – November 4 the world’s best U-18 surfers will gather in Huntington Beach, USA to represent their nations and go for Gold in the 2018 VISSLA ISA World Junior Surfing Championship presented by Visit Huntington Beach. The 2018 edition of the VISSLA ISA Juniors has set new records for the participation of girls and countries. 362 athletes from 44 nations will compete, surpassing the record of 41 nations set at the 2016 edition in the Azores Islands of Portugal. 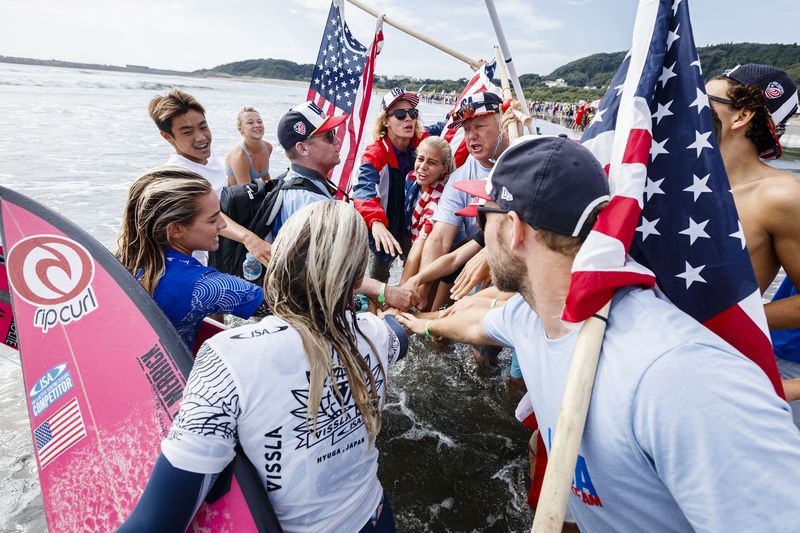 Additionally, the 154 Girls that are registered shatters the record of 104 set in 2016, marking an important success in the ISA’s push for gender equality in the sport. Aligning with the ISA World Surfing Games and ISA World SUP and Paddleboard Championship, the 2018 VISSLA ISA Juniors will adopt equal slots for girls and boys, making it the first to feature full gender equality in the event’s history. The live webcast will be streamed on www.isasurf.org from October 27 – November 4. Visit the official event page for results, team rosters, photos, videos, and news pertaining to the competition. The last time the event was held in the United States, Team USA put on a brilliant performance in Oceanside, California to earn their first-ever Junior Team Gold Medal. Coming off a second Team Gold Medal performance at the 2017 edition in Japan, they will look to build on the local support and earn an unprecedented third Gold in four years. Historically, the ISA has served as a glimpse into the future stars of the sport. 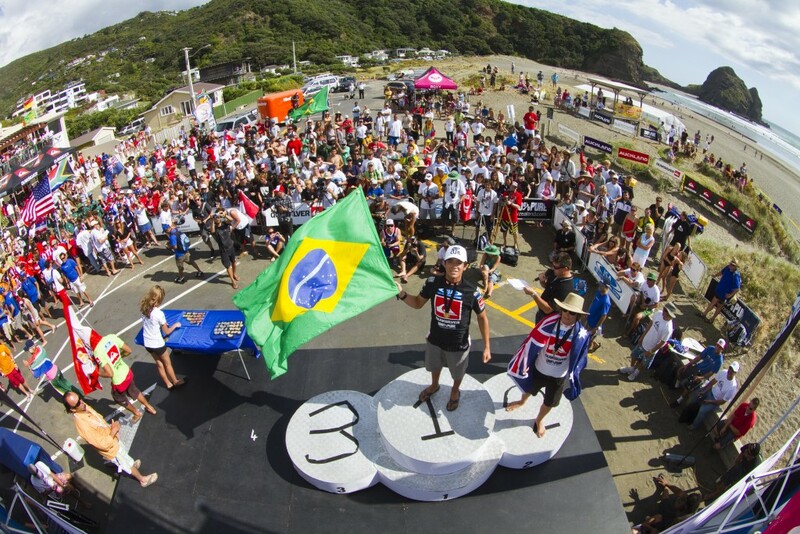 Past ISA World Junior Champions include the 2014 WSL Champion Gabriel Medina (BRA, 2010), Tatiana Weston-Webb (HAW, 2014, 2013), Filipe Toledo (BRA, 2011), Tom Curren (USA, 1980), Tyler Wright (AUS, 2010, 2009), Alejo Muniz (BRA, 2008), Laura Enever (AUS, 2008), Sally Fitzgibbons (AUS, 2007), Julian Wilson (AUS, 2006), Owen Wright (AUS, 2006), Stephanie Gilmore (AUS, 2005, 2004), Matt Wilkinson (AUS, 2004), Jordy Smith (RSA, 2003) and Leonardo Fioravanti (ITA, 2015). This year’s competition marks the fifth consecutive year that VISSLA has supported the World Championship as the title sponsor, bringing their youthful, unique energy to the world’s largest junior surfing competition. The 2018 edition also counts on the support of Visit Huntington Beach as the Presenting Sponsor, Pasea Hotel and Spa as the Official Host Hotel, and Surfrider Foundation as the Official Sustainability Partner. The south side of Huntington Beach Pier will host the dual-podium format event. Huntington Beach will return to the global focus of Surfing after having hosted numerous elite surfing events – such as the Vans US Open of Surfing and the ISA World Surfing Games. The ISA will be posting live updates, photos and videos from the competition on social media. Follow along on Facebook, Instagram, Twitter and Youtube and don’t forget use the official hashtags #ISAworlds and #VISSLAISAworldjuniors. Both U-16 World Champions, Spencer and Azuchi, will return to defend their Titles in 2017. *Schedule subject to changes. All times in Pacific Standard Time. To see the full schedule of activities, click here.